Get A Difference Look And Ambience With Quartz Countetops. Home / Get A Difference Look And Ambience With Quartz Countertops. Are you designing your home; redesigning or renovating the same? If yes, then you must have already had enough of the running and the confusion that quite often is a part of such a process. You want only the best that fits into your budget; you are full of ideas but find it difficult to put them into a frame. There is unending advice from your friends and family and you don’t know whom to trust and whom not? It is your home and you definitely don’t want to go wrong. It is only once that you are trying to bring your dream home to life and you can’t afford to make a mistake. Amidst all the running around and the commotion, you might end up buying the wrong stuff for the fear of experimenting with something new. Deep set and based on the lines of the above-stated state of delirium would be your decision to go for a quartz countertops. Solid surfaces are quite much required in the kitchen for making kitchen tops. They are not just limited to kitchens and might even extend to your bathrooms, patio etc. The preferred substances to a solid surface are generally are marble, granite, steel and the like. This is more so because these are an array of conventional materials that have been in the world of home building for quite a long time now. The recently popularized addition to this world has been the quartz countertops. Quartz is a substance that has been used for construction and other similar purposes for quite a long time but its use as a countertop or as a solid surface has gained popularity only in the recent times. A quartz solid surface is the product obtained essentially when quartz is grounded and mixed with a base material. The proportion of quartz is about 93 percent and the ground substance is generally of a nature that can give the solid surface a binding characteristic. The essential trait of a solid surface is the fact that it is solid which means that it needs to be durable. Quartz here scores above all the conventional solid surfaces for the mere reason that a quartz solid surface has the strength that quartz has. This makes a solid surface made out of quartz ideal for use in the kitchen where the countertop is exposed to a lot of wear and tear and abrasions. In such cases, quartz is able to give a tough competition to all other ideal solid surfaces. 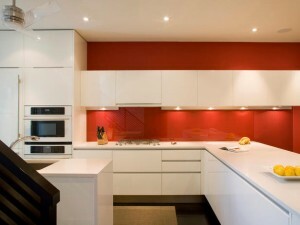 In addition to this, quartz solid surface is available in a number of colors. The colors in the solid surface are a result of the coloring pigment used in the base substance. This makes it quite convenient for you since now you can match all your surrounding decor with the solid surface. All that you have to do is to go ask the dealer for the requisite color and he will surely have it for you. Quartz countertops also means that you don’t have to worry about your budget anymore. Quartz is a substance that has been a blessing from the Gods and is available in plenty in nature. Thus the prices when pitted against other similar surfaces are considerably low. Now you can save on your countertop and use the surplus funds for extending your designing to more elite choices. The quartz countertops is the one case where you get better quality and durability but at highly economical rates. It is the favorite choice among Singaporeans. Instead of going for the ever so normal solid surfaces, you should definitely opt for the quartz one. They will surely add a flair of excellence to your designing and make your kitchen stand out. You would be left wanting to spend more time in your kitchen reveling in the ambiance than your bedroom. What is the cost of quartz countertops in Singapore? Range from $120 – $200 depends on which brand and country you prefer? Spain Quartz Countertops can cost up to $180 per foot run.